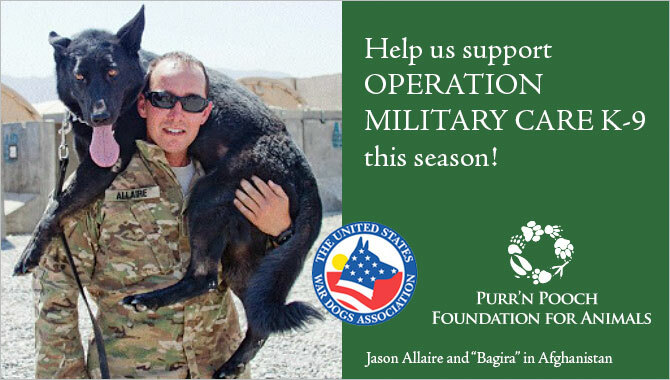 HELP US BRING SOME HOLIDAY CHEER TO OUR TWO AND FOUR LEGGED HEROES OVERSEAS! Join us on Saturday, January 24 at 2:30 p.m. for a volunteer day at Purr’n Pooch’s Training Hall at 86 Gilbert Street West in Tinton Falls, NJ. 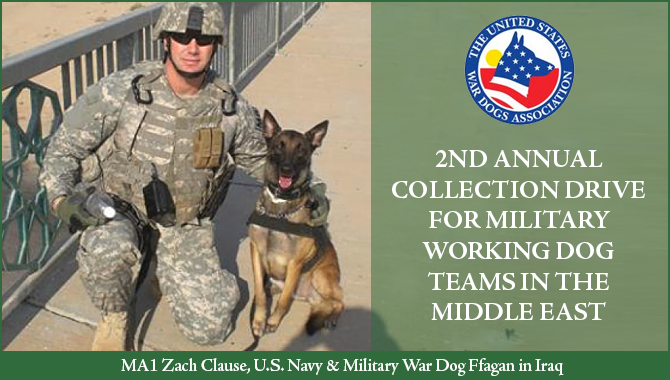 On this day, all ages are invited to write letters to the military dog handlers overseas and prepare packages for shipment. 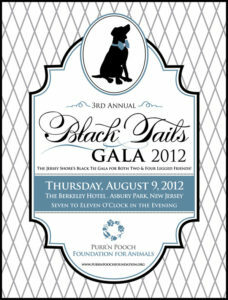 Email info@purrnpooch.com to register. K-9 Grooming Tools-Combs,  Brushes, etc. Condiments- Hot Sauce, Ketchup, etc. Fun family & dog-friendly activities all day! 8:00 am Purr’n Pooch 5K Classic Run. Too often we hear about the millions of unwanted animals killed in shelters across America each year or read about unfathomable cruelty inflicted on defenseless creatures. Fortunately, there are selfless, passionate individuals quietly saving lives – hands-on, one animal at a time. With pure hearts, boundless energy and few resources, they work diligently day in and day out, to rescue animals in distress, heal their wounds, restore their confidence, and teach them to trust and love again. 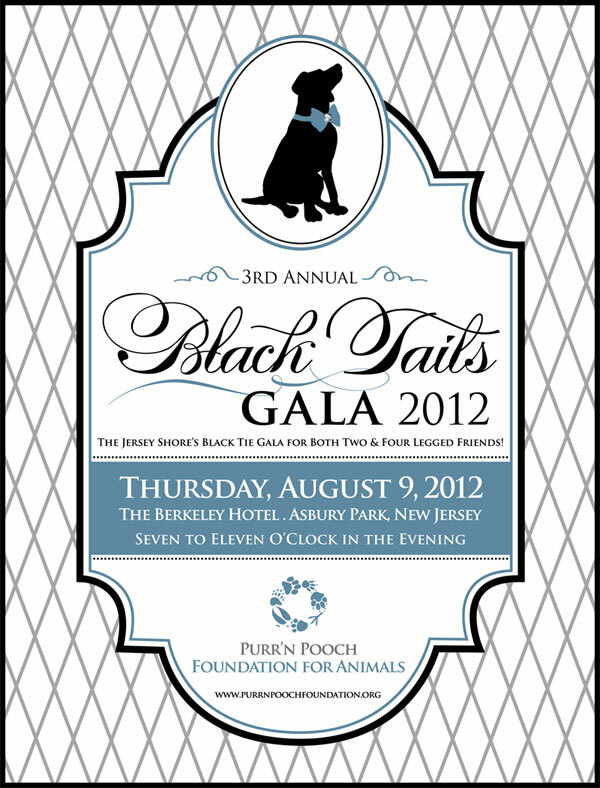 The Purr’n Pooch Foundation is committed to helping these unsung heroes pursue their worthy missions. Regardless of species served, the Foundation supports those deserving organizations who do so much with so little.